The main question asked, after you have stuck to your diet and lost weight is: how do I tighten my excess skin? Is it even possible and why after achieving weight loss am I not toned? Here I have some advice on how to complete your full transition and have the body you were striving for. The good news is you don’t necessarily need surgery to fix the problem! You can tighten that skin and achieve a toned, lean and healthy looking body. Do I Have Loose Skin Or Fat? This is the part we need to establish first. Is what you are seeing actually loose skin or simply excess fat that is not completely gone? We all have deposits of fat that take longer to shrink than others. 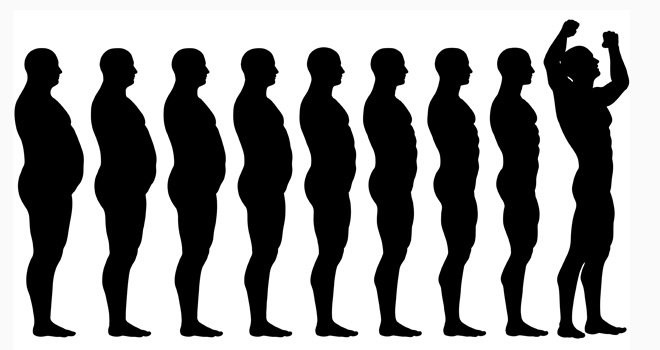 For men this fat is mainly in the stomach region. For women it is usually in the hips, thighs and buttocks. Unfortunately you can’t achieve targeted fat loss in specific areas of your body, but you can increase intensity on the area with exercise and the correct diet. You just need to determine if you are dealing with excess skin or if you are being mislead by body fat instead. The easiest way to do this is to simply pinch the part of your body that is the area of concern. If you can grab more than a few millimetres of skin then there is more fat to lose. This doesn’t mean you don’t have excess skin, but until you rid the majority of the fat it is covering, then the skin on top is not going to tighten. Remember skin is shaped by what is underneath, once you have lost those last stubborn pounds, it can and will start to tighten. Surgery always appeals to be the easiest and only option with circumstances that are not understood. But if you lose enough fat and build enough muscle, chances are you will be happy with what you achieve and see. It is difficult to realise how lean you have to get to see where you really stand in terms of loose skin. Once you get that lean, you would have lost most of your stubborn fat and will be able to see if you have a genuine loose skin problem. What you may think is loose skin is actually just fat and it can be hard to differentiate until you get lean. It is believed that if you starve yourself and do just cardio you will lose weight. By doing this you won’t just lose fat, You will lose your muscle too. 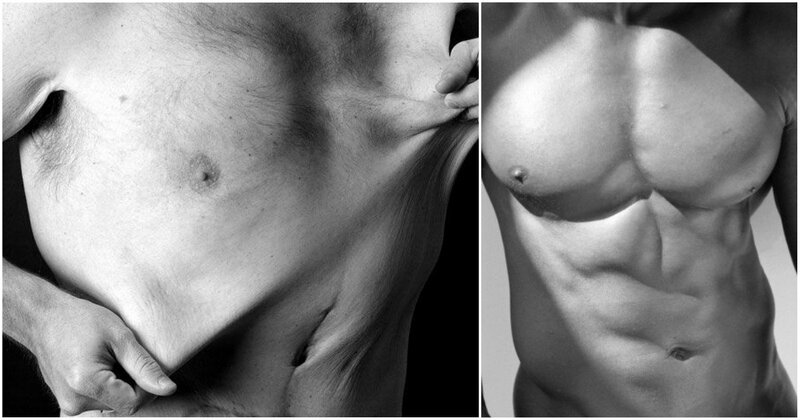 Losing muscle leads to the soft “skinny fat” look that you see with your clothes on, but when your clothes are off you see the excess skin. If you want to look lean and athletic, you need to go beyond weight loss and start thinking about building muscle. You do not have to go to the extreme, but gaining even small amounts of muscle will tighten the skin. This goes beyond the skinny fat dilemma, it relates directly to loose skin. Fat and muscle are what press up against your skin and keep it from hanging loosely. If you lose a significant amount of both fat and muscle, your skin loses its underlying support and can only go limp. Gaining muscle is an extremely effective strategy for combating loose skin. You need something to fill the void that is contributing to the loose skin problem and muscle building is ideal. Remember to keep hydrated. Water is a crucial component of maintaining skin elasticity. From both food and drink, you should be taking in at least two litres of water each day. We take this for granted until it finally lets us down and stops bouncing back. Skin is a living organ just like all the other organs in your body, it is comprised of cells. This means it will slowly return to a shape that fits your achieved body. Weight loss is a common culprit, but there are other lifestyle choices that reduce skin elasticity and increase the risk of loose skin. There are several simple strategies you can use to help keep your skin stretchy and healthy. Two necessary ingredients that keep skin plump and elastic are collagen and elastin. Protein helps keep your skin moist, wrinkle free and elastic. A high-protein diet is associated with skin health and a youthful appearance. Low protein intake affects your skin, making dryness, wrinkles and poor elasticity more likely. 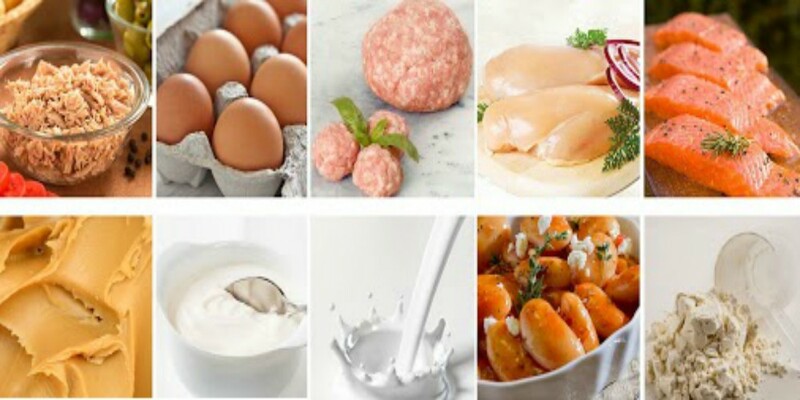 Protein rich foods such as cottage cheese, milk, tofu, beans, seeds, nuts, and fish all contain collagen and elastin, as well as oils to help maintain healthy skin. Eating fruits and vegetables improves health. Eating higher amounts of these foods help with hydration and a more refreshing, healthy feel within the body. It is also a good source of vitamins and minerals and helps maintain a healthy digestion. This reduces bowel problems which can bloat and stretch the skin. Adults should eat about 3 cups of vegetables and 2 cups of fruit per day and the more kinds and colours you eat, the better. There are many supplements that claim to help with loose skin, but most have little evidence to support this. They are not a substitute for the diet and exercise strategies, but they can supplement your efforts to improve the look and quality of your skin. Gelatin is a type of protein that comes from collagen, a protein itself that is crucial for healthy skin. Gelatin isn’t the easiest thing to fit into your diet plan, this is because it is most easily found in sweets and desserts. This is why it’s safer to take as a supplement. A high quality fish oil is one of the best supplements you can take. It has a whole host of health benefits, including improving skin elasticity and reducing wrinkles. Fish oil supplies hydration to your skin and is a great benefit to your heart and health. High intensity cardio will help reduce fat and increase heart rate, speeding up the fat burning process. Weight training will help to build muscle which prominently will start to sculpt the skin to your desired shape. Incorporating the two will help tighten, move and re shape your skin. The fat cells will burn and the skin will sit firmly over your muscles. Daily exfoliation can help to remove dead skin cells and increase skin circulation. A hot bath with sea salts and minerals after training can improve skin tone. While supplements help you get more out of your diet and training, no pill or powder will directly burn fat off your body, this has to be done by you. When you know what you’re doing with your diet and exercise, certain weight loss pills can speed up the process of fat loss. It is not ideal to rely on weight loss pills, once you are controlling your diet, your body is capable of achieving your desired results. If you stick with this, be patient and consistent, then there’s a good chance you can get a body you can be proud of without turning to surgery!